The Uffizi Gallery hosts a collection of artworks of infinite celebrity and distinction. Perhaps not everyone knows that the Gallery owns also one of the most important graphic collection of the world. It is hosted in the Department of prints and drawings – that you can admire while visiting the museum – and it counts over 150,000 pieces, among drawings, etchings, illuminations, from the 14th to the 20th century. This is an important collection, because it preserves some copies of lost artworks, as The battle of Anghiari, by Leonardo and the Battle of Cascina, by Michelangelo. Here we can find several underdrawings, that let us to “spy” artists while they are creating their marvelous masterpieces. There are works by Leonardo, Michelangelo, Raphael, Pontormo, Mantegna, Parmigianino, among Italian artists, and Dürer, van Dyck, Rembrandt, among the foreigners. 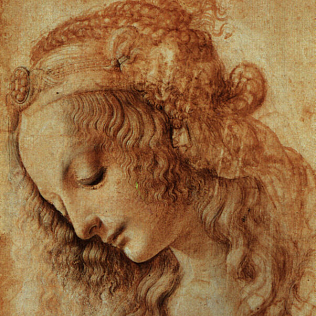 It is important to remember that drawing has always been very important in Florence: it became a quality of the artistic school in town, and it discriminate it from the Venetian school, its big \"rival\". Visiting the Department, you do not stand in front of a sequence of simple sketches, because they are real artworks, that have been grouped during the centuries. The Medici begun to gather together these artworks during the years of Lorenzo the Magnificent, but the proper collection started with the cardinal Leopoldo: in the middle of 17th century he highly enlarged the collection and he patronized an important cataloguing of the works. It is easy to grasp that many of these drawings are of the Florentine school, above all of the 16th and 17th centuries. The Department is an institute of the Uffizi Gallery. It consists of a restoration laboratory, that works to preserve these precious pieces and to spread their computerized version among researchers all over the world. The Department organized exhibitions periodically , and thanks to them visitors can appreciate some particular parts of the collection. Nowadays the Department is located in the rooms that originally were part of the theatre of the Medici family – it was dismantled when the family moved to the Palazzo Pitti. In the past, artworks have been exhibited in the Uffizi Gallery and in the Vasari corridor. The Department is an important part of the itinerary in the museum: it let us to admire a very important phase of the artistic creation, too often neglected. The visit to the Department is of course rich of great emotions!